Veya kitabı 21600 Kobo Super Points ile alın! 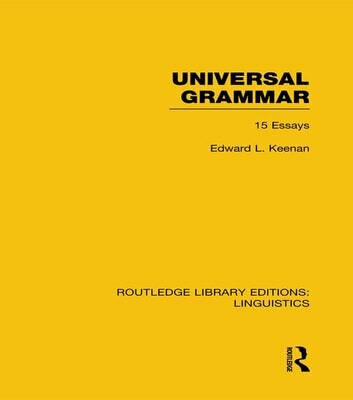 This collection of 15 articles reflects Edward Keenan’s long-standing research interests in the comparative syntax of the languages of the world. 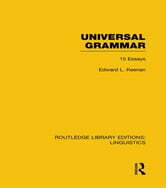 It includes two seminal ‘foundation’ articles, Noun Phrase Accessibility and Universal Grammar (with Bernard Comrie) and Towards a Universal Definition of ‘Subject of’. Most of the other articles have appeared in a variety of relatively inaccessible places, and so this book brings together for the first time a large body of work supporting the research directions taken in the foundation articles. In addition, one article of a psycholinguistic sort was specially prepared for this volume.